Bristol ChemLabS: a Centre for Excellence in Teaching & Learning began on 01 April 2005 after HEFCE awarded the School of Chemistry £4.5m in January that year to establish it. Bristol ChemLabS stands for 'Bristol Chemical Laboratory Sciences'. Science Learning Centres provide the highest quality Continuing Professional Development for everyone involved in science education, at all levels. With a network of ten Centres across the country access to innovative and inspiring courses is within easy reach. Explore-At-Bristol is one of the UK's most exciting hands-on science centres! Discover interactive exhibits and special exhibitions, take in a Planetarium show or join our Live science team for fun experiments and activities. A registered charity, Explore runs formal and informal learning programmes and aims to make science accessible to all. the European journal to promote inspiring science teaching by encouraging communication between teachers, scientists and everyone else involved in European science education. Our school is a very special one, in which we take great pride. This is reflected in the school website which shows our many activities, interests and achievements. ChemiCroc is a Professor of Chemistry and wants to help children learn more about the chemicals that surround them in their everyday life. As well as being a helpful Croc he can sometimes get into a lot of trouble, and in the ChemiCroc games you must help him get out of trouble by helping him use his knowledge of Chemistry. Fizik öğretmenlerinin bilgi, yetenek ve deneylerini paylaştığı bir site. Öğretmenler birbirlerine soru sormakta ve bir çok deney konusunda bilgi sahibi olabilmektedir. This website is for teachers of physics, enabling them to share their skills and experience of making experiments work in the classroom. We appreciate that some students also use the site, but we cannot provide answers to student questions. Teachers TV is operated by an independent media consortium, Education Digital, which was selected by the DfES (now the Department for Children, Schools and Families) in 2004 after an extensive tender process. Explorer Dome was set up by Shaaron Leverment and Ben Brown in 1998 with an aim to make an exciting planetarium visit affordable and accessible for all schools. genç insanlara yönelik bilimsel deney yapmak üzere geliştirilmiş olan mobil laboratuar'dır. Program genellikle kendisini bilime adamış, yaşadığımız dünyaya kayıtsız kalmayan gönüllüler tarafından yürütülmektedir. Lab in a Lorry is a mobile lab that gives young people the chance to explore science through hands-on experiments.The programme is guided by volunteers who want to share their passion for science and their curiosity about the world we live in. Manning is a multi-cultural all girls 11-16 school in a residential area to the west of the city of Nottingham. The school is unique in the area, in that it is the only state maintained girls' school. This means that it allows us to concentrate on the needs of girls. A group of Turkish education experts visited Bristol ChemLabS 11 to 15 February to gather information about Bristol University’s science engagement activities. It is hoped that the fact-finding exercise will help them develop their own outreach programmes to take back and employ in primary schools in rural parts of Turkey. 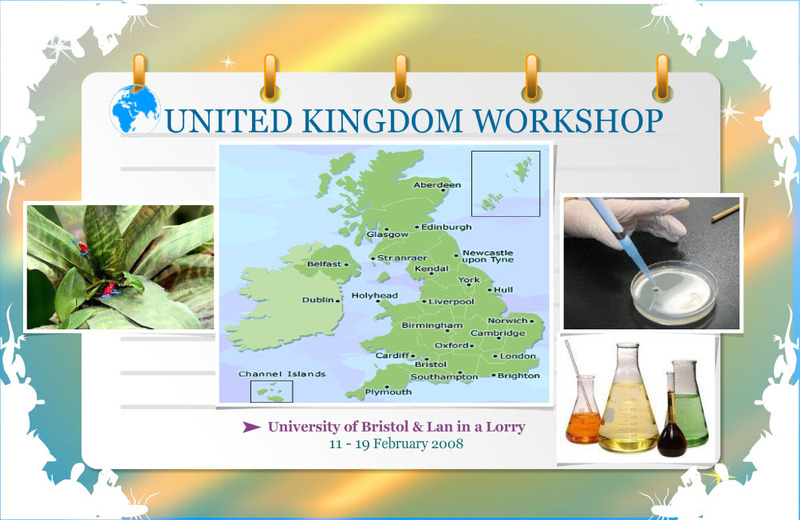 Led by Tim Harrison and Dudley Shallcross, with Professor Mustafa Erol from Bozok University in Turkey, the group visited a number of schools to observe different types of mobile science teaching. This included a Primary Science Visit at The Croft Primary School, Painswick, Gloucestershire. The team also took a look at the Mobile Teaching Unit in action at Cam Woodfield Junior School in Dursley, Gloucestershire. The team also looked at the online primary science quiz and Chem@rt competitions.